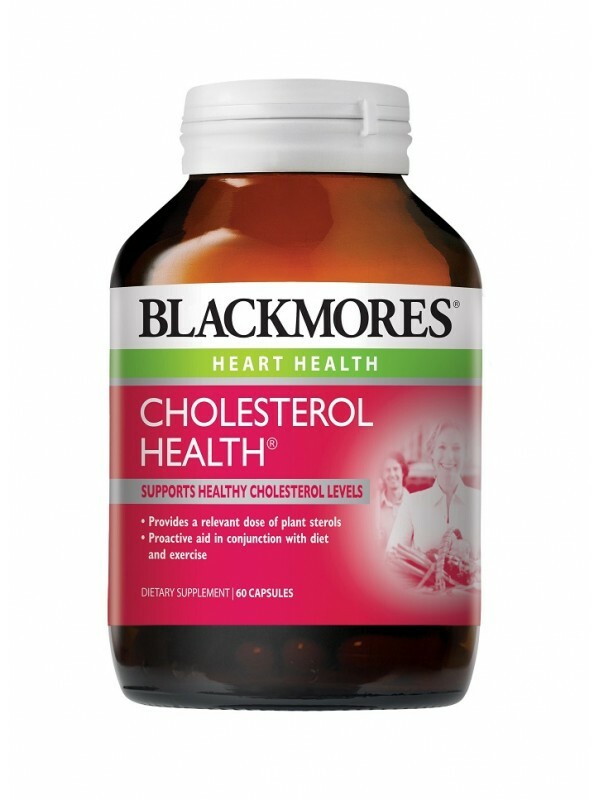 Blackmores Cholesterol Health™ provides a relevant dose of plant sterols to help support healthy cholesterol levels and contribute towards a healthy heart. Blackmores Cholesterol Health may be used as a proactive aid in conjunction with diet and exercise. Cholesterol maintenance is an important part of many people's diet and lifestyle regimes. Plant sterols are fat-like compounds with a chemical structure that is very similar to cholesterol. However compared to cholesterol, plant sterols are only minimally absorbed. They are naturally present in everyday foods especially in vegetables, fruit, nuts, grains and cooking oils. During digestion, the plant sterols compete with cholesterol for absorption. What this means is that less cholesterol is absorbed and more cholesterol is excreted. Plant sterols appears to act on both dietary cholesterol secreted into the digestive tract. Plant sterols have been found to reduce total cholesterol and LDL-cholesterol by 8-13%. Results may be seen 12 weeks. A daily intake of 2gm of phystosterol/stanols reduces LDL-cholesterol by approximately 10%. Adults – Take 1 capsule twice daily with a meal, or as professionally prescribed.